The top women's roller derby teams in the world will compete for the sport's highest honors, the Women's Flat Track Derby Association (WFTDA) Division 1 and Division 2 Championship titles, Nov. 6-8, 2015, in Saint Paul, Minnesota. Thousands of roller derby skaters and fans from around the world will pack Saint Paul's Legendary Roy Wilkins Arena as 16 teams enter a fierce battle to take home the trophy and the title of WFTDA Division Champion. Marking its 10th year of pushing the sport's athleticism and competition to new heights, the International WFTDA Playoffs and Championships bring together the most talented, highly trained skaters and teams. WFTDA tournaments provide everyone who loves roller derby an opportunity to witness the most anticipated match-ups of the year live or online on ESPN3 or WFTDA.TV. The Women's Flat Track Derby Association is the international governing body for the sport of women's flat track roller derby and a membership organization for leagues to collaborate and network. The WFTDA sets standards for rules, seasons, and safety, and determines guidelines for the international athletic competitions of member leagues. There are currently 329 WFTDA member leagues and 97 affiliated leagues in the WFTDA Apprentice program worldwide. 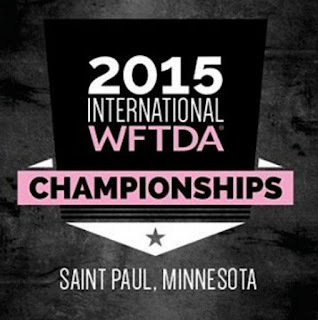 The Championships represent the best of the best of WFTDA teams. To qualify, teams had to first earn a ranking high enough to be seeded into one of the four Division 1 or two Division 2 Playoffs brackets. Then, they had to play their way to the top of their bracket. Tickets are on sale now for Championships weekend in Saint Paul, with weekend, single day and evening headliner game ticket options. 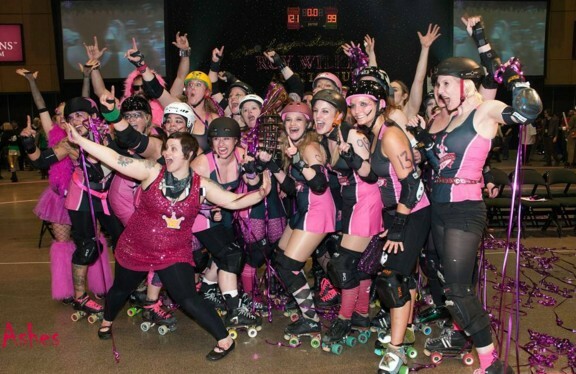 With the Vendor Village, trackside superfan seating and evening after parties, Championships weekend is a three-day celebration of roller derby. 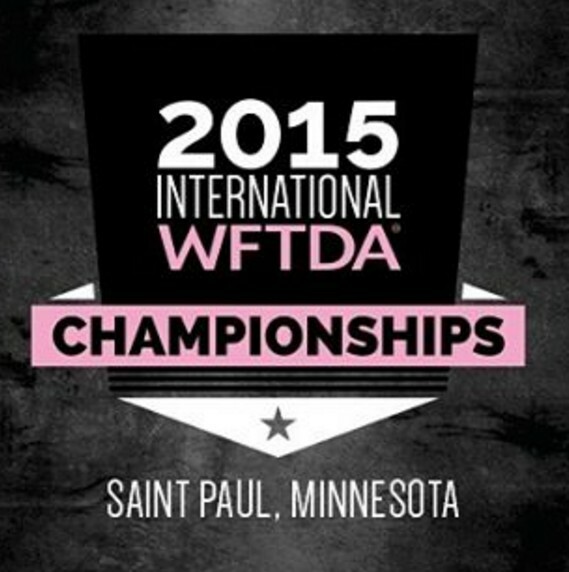 Additional information is available at wftda.com/championships. 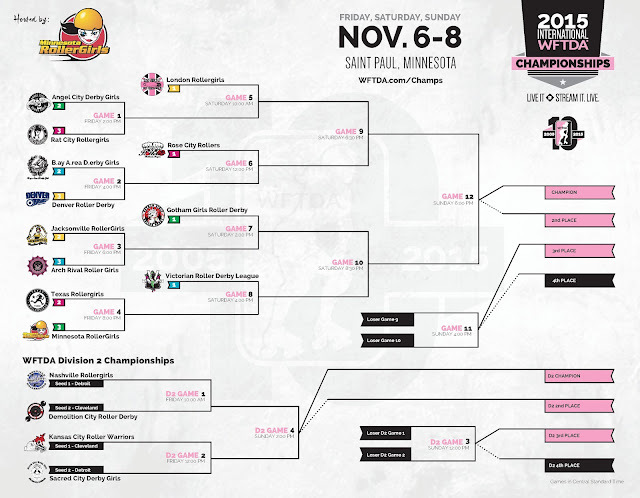 Live coverage on ESPN3 will feature the final day of competition Nov. 8, the most highly anticipated games of the WFTDA season. Coverage will begin at 12 pm Central. 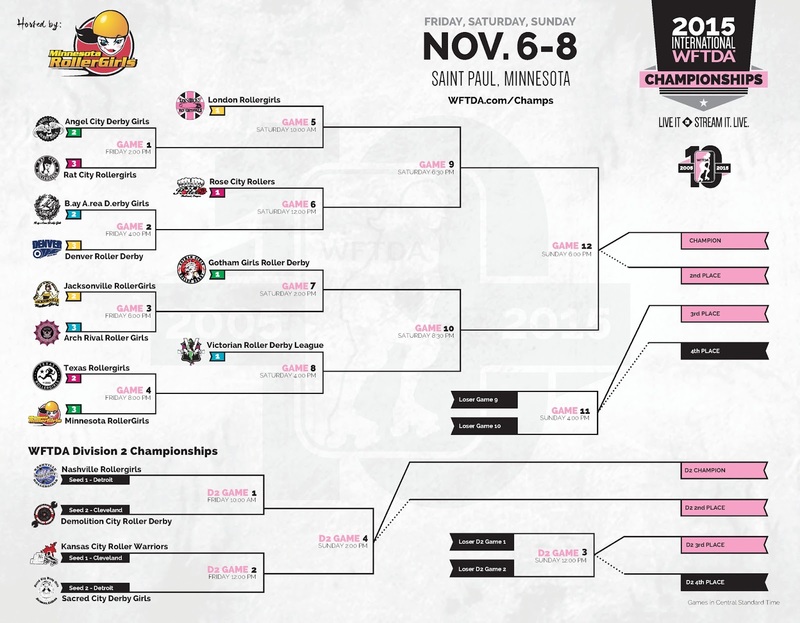 Fans can watch the first two days of competition via WFTDA.tv, the WFTDA's online broadcast channel. For more information see wftda.tv/espn.